Is it safe for me to exercise ? A great deal depends on your baseline state of health. Whenever you begin an exercise video, there is always a message about consulting first with your doctor. Does everyone need to do this ? Click Here for the recommendations from the American College of Sports Medicine about who should have a medical exam before beginning exercise. How much do I need to exercise ? That is, how many days per week, and how many minutes per day ? * By the way, what is a MET ? One MET is the energy equivalent expended by an individual while seated at rest. While exercising, the MET equivalent is the energy expended compared to rest so MET values indicate the intensity. An activity with a MET value of 5 means you are expending 5 times the energy (number of calories) than you would at rest. Learn more HERE. On 2-3 d·wk, adults should also perform resistance exercises for each of the major muscle groups, and neuromotor exercise involving balance, agility, and coordination. Completing a series of flexibility exercises for each the major muscle-tendon groups (a total of 60 s per exercise) on ≥2 d·wk−1 is recommended. This is all very well defined... but how do you make it happen ? We are going to explore the building of habits. 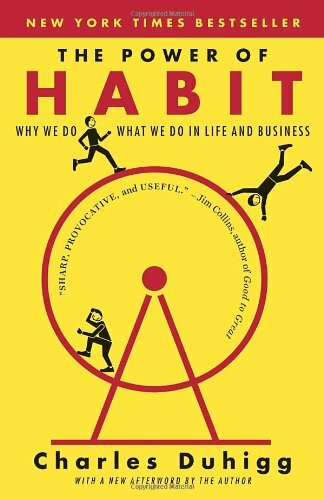 If you want to read ahead, get a copy of The Power of Habit, located conveniently at right and in my Amazon shop in the "Retail Therapy " section of the site. Go to the Books section and from there to the section on Inspiration. We are also going to explore motivation. Why ? Because this is the first thing you need. If you just don't have it then engineering your habits can get you started. Click here to see my collection of tips from a number of sources which will help you get started and stay motivated to exercise. Health care and fitness professionals the world over seek ways to make fittness more realistic, effective and available for people. Exercise research has given us some help here. Check out High Intensity Interval Training to HIIT to learn more.